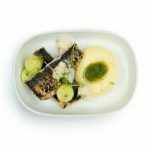 In conjunction with Finland’s upcoming centennial anniversary, Finnair is launching three new food collaborations for its onboard meals. Finnair General Manager – Australia, New Zealand and New Caledonia, Geoff Stone said the collaborations, which intend to promote Finland’s healthy and hearty food culture, are being rolled out in cooperation with the ELO Foundation, an association dedicated to the promotion of Finnish food culture. For business class customers flying out of Helsinki on long-haul flights between 4 October and 9 January 2018, Finnair’s Signature Menu Chef, Eero Vottonen, has put together an exclusive 100 years’ themed menu to celebrate the culinary nuances of Finnish food. The menu features delicacies such as Baltic herring, a Karelian stew and a cep mushroom soup flavored with cured elk. Chef Vottonen, supported by the ELO Foundation, finished sixth out of 24 participants at the prestigious Bocuse d’Or competition in Lyon, France in January 2017. “When creating Finnair’s centennial menu, I reflected on what Finland and its food culture represent for me,” said Eero Vottonen. For business class customers flying to Helsinki on most long-haul flights between 4 October and 9 January, Finnair will offer elements inspired by the Finland 100 years’ menu which was specially designed by the ELO Foundation to commemorate Finland’s centennial anniversary. 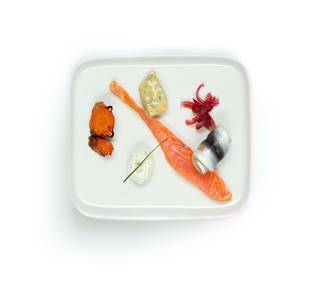 This menu being served on Finnair’s flights will feature elements including pickled salmon, rainbow trout and a Karelian stew with beef and pork. Variations of the ELO Foundation’s 100 years’ menu will also be served at Finnish embassies around the world to commemorate Finland’s centennial celebrations. For economy class customers on long-haul flights from 5 July to 9 January 2018, Finnair is partnering with the ELO Foundation and the Cygnaeus elementary school in Turku to create meals inspired by Finland’s delicious and healthy school meals. Finland is renowned for its excellent school system, which also includes a free school meal for all children from grades one to nine, as well as for students in high schools and trade schools. The meals were selected by students from the Cygnaeus school in Turku during a workshop at Finnair’s catering premises, and tailored to fit the aircraft environment. The meals selected by the students include traditional Finnish favourites such as potatoes and meatballs as well as macaroni and meat casserole. “Our main objective in partnering with the ELO Foundation on these great initiatives is to help promote Finland’s healthy and delicious food culture to hundreds of thousands of international passengers flying with us this year,” said Finnair Head of In-Flight Service, Maarit Keränen. “We are extremely proud to take part in these collaboration initiatives with Finnair and to promote Finnish school meals in Finland and abroad,” said ELO Foundation Executive Director, Seija Kurunmäki. Finnair will also celebrate Finland’s 100 years by offering rye bread and Karelian pies during the meal service onboard its long-haul flights. Both items featured in the Top 3 when nearly 50 000 Finns voted in a public call to find Finland’s national food as a tribute to the country’s centennial anniversary. Finnair flies between Asia, Europe and North America with an emphasis on fast connections via Helsinki, carrying more than nine million passengers annually and connecting 17 cities in Asia and 3 cities in North America with more than 60 destinations in Europe. Finnair offers excellent connections from Australia with oneworld partners and was named Best International Airline – Offline Carrier in the prestigious AFTA National Travel Industry Awards in 2013, 2014, 2015 and 2016.